These instructions only work for Straight Talk customers using Straight Talk’s AT&T compatible network or Straight Talk’s TMobile compatible network. These instructions will not fix problems with voice calls, SMS text messaging, or voicemail. These instructions will not help if your using Straight Talk’s Verizon CDMA network. Stop reading and leave a reply below for more information. 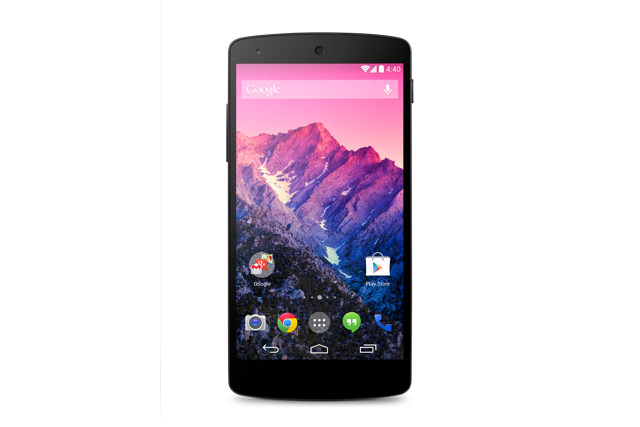 I used my Nexus 5 with Android 5.1.1 as a reference for this article. Visit the Straight Talk website to look up the APN settings for your specific phone number. See Looking up Your Straight Talk Wireless APN Settings. Your APN will be either RESELLER, wap,tracfone, att.mvno, or tfdata. Choose the appropriate article below to set up your specific APN. Choose the article below for your specific APN. After setting up your APN try using your cellular data connection to access the Internet. To do this. turn off Wi-Fi and use Chrome, or your phone’s web browser, to visit some Web sites. Many people like to exchange pictures as part of there text messages. Picture messages use MMS, and your MMS APN needs to be set up correctly. Try sending and receiving a few picture messages. Send a friend a picture message. Include text asking her to reply if she received the picture, and to include a picture with her response. Verify you receive the picture message. Group text messaging is when you send or receive text messages between one than one person. Like picture messages, group texts use MMS. So, if you use group text messages, make sure you can send and receive messages after setting up your APN. If you don’t use group text messages, you can skip this step. Hopefully at this point, your cellular data connection, MMS picture messages, and group texts are all working properly. Please take a moment to leave a reply for help. If these instructions worked for you, great, share that with the other readers. If you had a problem and something isn’t working, let me know and I will try to help you. I’m desperate to fix my data! Been going on for over a week and just put my new time on 3 days ago. I have a LG fiesta 2 straight talk with verizon network and in starting to feel this will never get fixed. Plz help!!! I am not sure I completely follow your comment but here is my response. When you use Straight Talk’s Verizon network, the APN is automatically set up for you. You don’t need to set it yourself. the iPhone and many Android phone are set to hide the APN settings page. Because of this, Straight Talk doesn’t publish the APN settings for their Verizon network, that is why they are telling you there are none. They do publish the values for their AT&T and T-Mobile network though. I put the APN settings that I have for their Verizon network here Straight Talk APN Settings. Now, for the vast majority of people the automatically set APN settings on Straight Talk’s Verizon network without doing anything. However over the last three years or so, I do hear from people having intermittent problems with data and MMS on ST’s Verizon network. When this problem occurs, its a pain to resolve. Some people report that if they call ST the problem gets resolved for weeks or months. So your options are you can try the APN settings in the link above or call support and see if they can solve the problem. You can also continue to fiddle with the APN settings to try and fix the problem. If you can solve the problem by changing the APN settings great. Unfortunately, I don’t think it will help. I have a note 3. Every apn I try fails to work. I have a t mobile phone. Galaxy Note 3. Please send me the correct apn. Lookup your APN here. What is it? I have a Nexus 4 with ATT Straight talk and version 5.1.1. My data and messaging (picture and group) stopped working after my system updated a few months ago. I have not been able to fix the issue and I’ve tried everything I can come across. I have tried all 4 of the options you list above for APN settings and none of the options seem to work for my phone. If possible try you sim in a different phone to make sure data works. Use the link in the article to look up your APN on the straight talk web site. On your phone, do a result to defaults on the APN page. Add a new APN with your APN settings. Are you able to access the APN settings on your phone? Try this APN. A reader shared it with me, said it worked for her. Please let me know how it goes for you.